Caregivers may be so focused on caring for a loved one that they neglect their own well-being, which may affect the quality of care they provide. 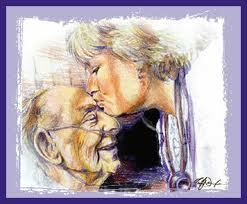 Giving care to a loved one is hard, hard work: usually both emotionally and physically draining. In order to have the energy and strength to continue to provide care, a caregiver must take care of themselves. Canadian resources designed to support caregivers in looking after their emotional, physical, social, spiritual, and financial well-being. This organization provides tips on caring for the caregiver as well as free online support groups. 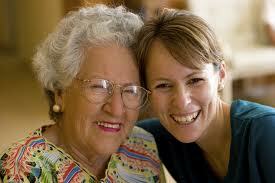 The following resources help to assess one's personal balance in caring for a loved one. This questionnaire was created by the American Medical Association to help caregivers analyze their own behaviour and health risks and, with their physician's help, make decisions that will benefit both the caregiver and the care receiver. This information package was created by the B.C. Family Caregiver's Network to help caregiver’s to assess their emotional, physical, social needs and level of caregiver stress. Respite simply means rest. Respite can come in many forms: even a few minutes away from non-stop caregiving can give a caregiver the energy to continue. In BC, care and support are available from voluntary organizations (such as DVHS), publicly subsidized providers, and private pay service providers. Detailed information on the full range of publicly subsidized home and community care services including eligibility criteria, how to arrange for care, costs for services, how to manage care, accountability and concerns and complaints.